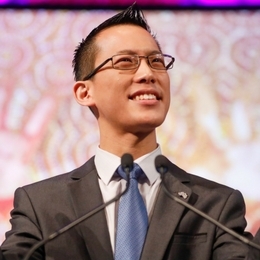 Eddie Woo was named Australia’s Local Hero and was a Top 10 Finalist in the Global Teacher Prize for his love of teaching mathematics. But what most people don’t know is that Eddie almost didn’t become a maths teacher – but a chance encounter at university altered the trajectory of his life forever. A public high school teacher for over 10 years, Eddie gained international attention when he started posting simple videos of his classroom lessons online to assist an ill student. His Youtube channel, Wootube, has more than 200,000 subscribers and over 13 million views. Eddie is driven by the conviction that mathematics really can be embraced and even enjoyed by absolutely everybody.